If you are over fifty years of age you may have noticed difficulty in reading small print or being able to thread a needle. These changes are a result of natural aging. The eyeball experiences several changes as we age. Some changes we may be able to correct with corrective lenses and others we may not be able to correct. People over fifty require about twice the amount of light that someone twenty years old would require to see the same thing. When most builders construct homes for resale they don’t spend a lot of money on the lighting. 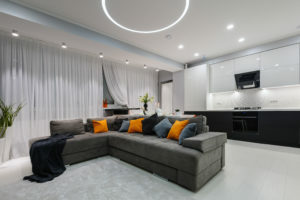 They have to compete against other builders for your business so they don’t always consider the possibility that the person buying a new home has special needs when it comes to lighting. You as a home owner need to know that older people need more lighting for reading, doing tedious tasks, and distinguishing colors. Adding task lighting and accent lighting in an existing home can be accomplished by professional electricians. It can make all the difference in the way you see things, as well as making your home more beautiful to the people that see it. Please do yourself a favor and contact the knowledgeable people at Total Comfort, Electrical Division to find out what we can do for you. Our years of experience in home lighting and electrical wiring will put you at ease in knowing you have made the right decision. 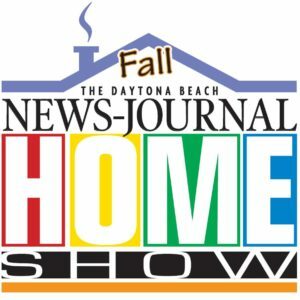 Total Comfort will be at the 2018 Daytona Beach Fall Home Show at the Ocean Center and we hope to see you there. Visit our booth to see what’s new and to get a free gift. Hours of operation are from 10:00 a.m. to 6:00 p.m. Friday October 26th and Saturday October 27th and 10:00 a.m. to 3:00 p.m. on Sunday October 28th. 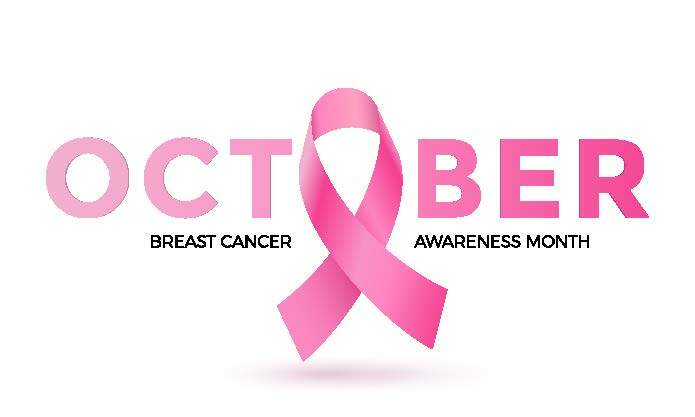 For the past several years Total Comfort has participated in Breast Cancer Awareness Month by taking part in various fund-raising events and by contributing a portion of its sales for the month to local cancer programs. In 2018 we will be doing it again. 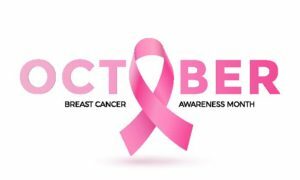 This year as in years past, Total Comfort will make its Breast Cancer Awareness Month contribution to Me Strong. Me Strong assists Central Florida residents with in their fight against cancer. The list below shows what our contribution will be for each type of sale during the month of October. Please feel free to make contributions of your own. 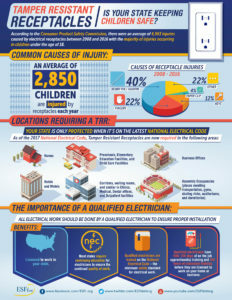 In an e-newsletter from the Eaton Certified Contractors Network it was reported that according to the Electrical Safety Foundation International (ESFI), each year approximately 2,400 children are treated from shocks and burns after inserting items into slots of electrical receptacles. 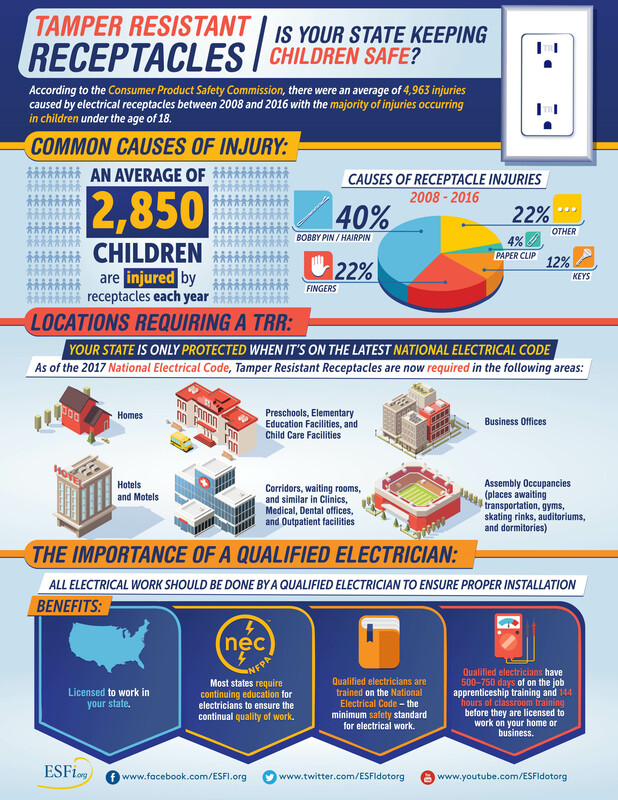 * To prevent these types of injuries, the National Electrical Code (NEC) now requires Tamper Resistant Receptacles (TRRs) in all new and renovated homes. What does this mean? Well, TRRs are now required for all 15A-20A, 125V and 150V outlets lower than 5 ½ feet above the floor. TRRs can be installed in kitchens, dining rooms, bedrooms, garages, outdoors, and basically anywhere a traditional outlet could be found. Some common causes of receptacle injuries include inserting hairpins, fingers, keys, and paper clips – TRRs can help your homeowners prevent these types of injuries. *Statistics taken from ESFI’s “Safety from the Inside: TRRs” post. Welcome to the 2018 Best of the Best Volusia / Flagler Awards! These awards celebrate and recognize the best our community has to offer. The nominations are in and the response was overwhelming! Only the top businesses in each category made it to here, the final voting stage. It’s now time to place your votes to determine who the winners will be. We invite you to vote for your favorites in dozens of categories. Votes can be placed between now and August 17, 2018. One vote per category per user. It’s easy to do. Simply choose a category, place your vote and fill in your email address. Continue and complete the registration form. Afterwards, you’ll receive a confirmation email which will contain a link that will allow you to auto login each day to vote again if you wish. Winners will be recognized in a special print and online section once the voting has completed and the votes tallied and verified. Let the voting begin and Vote for Us by Clicking Here! Distracted driving has become a major cause of traffic accidents, and fatalities over the last several years. In addition to being responsible for escalating insurance costs, according to statiscal data, distracted driving is currently responsible for 25% of traffic fatalities overall and 58% of the fatalities involving teens. 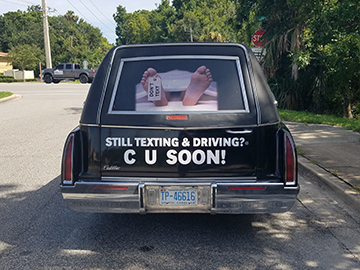 Over the past several weeks there has been a vehicle cruising the highways and by-ways of our area with a very somber message. At Total Comfort we encourage all to heed that message presented in the picture below. Total Comfort’s Electrical Division can install a circuit in your home that would enable the homeowner to plug in their portable generator to an outlet in an approved location that is connected to their main electrical panel. This connection would eliminate running multiple extension cords from the generator to an electrical device that they want to power. This circuit that backfeeds from the portable generator to the panel allows the homeowner to select the circuits within their home that they want energized during periods of power outage. The number and types of circuits that can be effectively powered will depend on the size of the portable generator. To ensure the safety of both the homeowner and utility workers an interlock kit must be installed at the panel. There are many variables that go into the cost of installing these portable generator circuits which include the distance from the generator to the main panel, the power output of the generator, and the type of panel. Interlock kits will vary greatly in cost depending on the brand and configuration of the electrical panel. If you have a portable generator and would like to be able to safely and conveniently operate it during power outages, please give us a call at 386-944-0858 and we’ll schedule an electrician to come to your home and give you an exact estimate. Total Comfort’s Electrical Division can install a 240 Volt Charging Station at your home or business to charge an electrical vehicle. The 240 volt chargers will cut charging time in half as compared to a regular 120 volt plug-in charger. The 240 volt charging stations can be plugged into a dryer or range plug or hardwired to its own circuit. I recently installed one in my home and ran a new 240 volt circuit from my panel to a new receptacle in my garage. 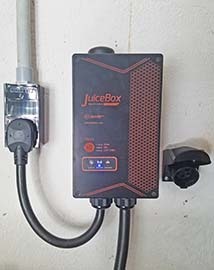 There are many brands and variations of charging stations and the one I chose was an “eMotorWerks” “JuiceBoxPro®40” . The Pro line is WiFi enabled and let’s me track my energy usage through a dashboard on my computer or phone. It requires a 40 amp circuit and comes with a 24 foot cord. Whatever brand you decide on, I’d suggest the WiFi version to make it easier to monitor your energy usage. 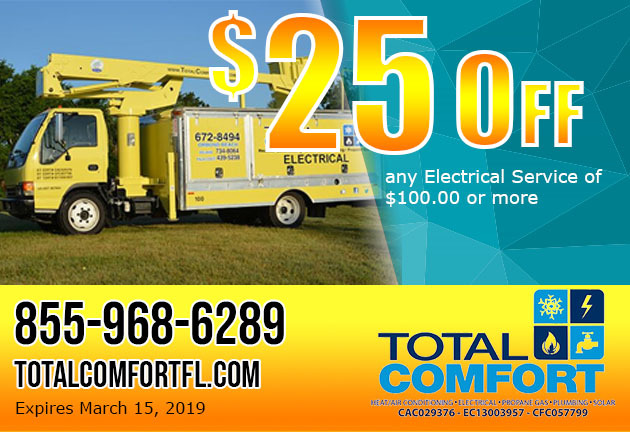 Call Total Comfort’s Electrical Division when you’re ready. 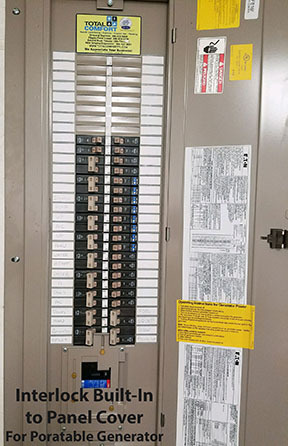 If you need a new electrical panel and want the latest and greatest with some extra space, Total Comfort suggests the Cutler Hammer 60 Circuit Panel by Eaton. The below pictures show one of our recent installations complete with a flush mounted surge protector and an interlock switch for use with a portable generator. 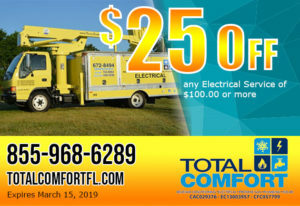 Total Comfort Heat and Air Conditioning, Inc. is a locally owned and operated full-service heating and air conditioning company serving the communities and surrounding areas of Ormond Beach, Holly Hill, Daytona Beach, Palm Coast, Flagler Beach, Deland, Port Orange, Ponce Inlet, and New Smyrna Beach, Florida since 1976. We have since added electrical, plumbing and propane divisions.